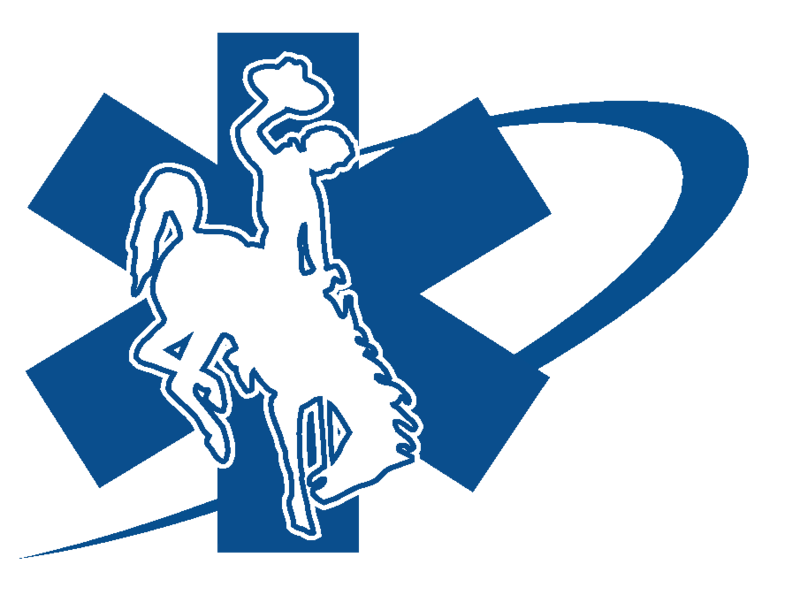 The Wyoming Trauma Program mission and guiding vision is to promote optimal care of the injured patient from the time of injury through rehabilitation through the establishment, enhancement and maintenance of effective emergency medical & trauma care systems. Traumatic injury is the #1 killer of Wyoming residents age 1-44 years. Please click below for data relating to Intentional and Unintentional Injury in Wyoming. Wyoming’s injury-related death rate is ranked 4th highest in the nation. Wyoming’s work related injury death is ranked 2nd highest in the nation. For a seriously injured person, the time between sustaining an injury and receiving definitive care may be an important aspect of survival. The chance of survival diminishes with time, but a trauma system can improve the chances of survival through shortened transit times and appropriate trauma care. Wyoming’s trauma system is an organized, coordinated effort in a defined geographic area that delivers the full range of care to all injured patients and is integrated with the public health system. The true value of a trauma system is derived from the seamless transition between each phase of patient care, integrating existing resources to achieve improved patient outcomes. In Wyoming, the trauma system is made up of a network of hospitals and ambulance services organized and coordinated to optimize the care provided to seriously injured people by ensuring that injured people are cared for at a hospital with resources that are matched with the injured persons’ needs. The success of a trauma system is largely determined by the degree to which it is supported by public policy. Robust trauma systems are effective. There is a demonstrated 15-20% improved survival rate for patients who are injured in an established trauma system. Care of the injured patient that is delivered at a trauma center hospital is associated with less morbidity and mortality than non-trauma center hospitals. A significant decrease of “preventable” deaths among the severely injured has been identified in regions with an established and functioning trauma system. We are in the process of revising the rules for the Wyoming Trauma Program. An in-depth revision is needed to correct both minor things (like typographical and grammatical errors) and major things (such as aligning Wyoming standards with the new American College of Surgeons standards.) This project will take more than a year to complete, and we need your help! We would like your input with regard to the rules. While we anticipate multiple opportunities for you to provide feedback, this form is your first opportunity to participate in the process. This survey will remain available to you through the duration of the process, and you may comment as many times as you would like. Please click on the link below to access the Trauma Rules Revision Survey and provide your opinion as it relates to the Trauma Program rules in Wyoming. W.S. 35-1-801 authorized the Wyoming Department of Health to proceed on the development of a statewide trauma system whose goal is to reduce the epidemic of injury, disability, and death in Wyoming for all ages. Trauma is the leading cause of death for those between the ages 1-44. The Trauma Program is housed in the Department of Health’s Office of Emergency Medical Services (OEMS). Since 1993 when the Wyoming legislature passed enabling legislation for the development of a statewide trauma system, the OEMS has taken the lead in trauma system development. Assisted by federal funding from the Health Resources and Services Administration HRSA, a broad based coalition of key players was established to assist the OEMS in the Trauma System Program rules. Please see below for more information on the Trauma Program Statutes and Rules. W.S. 35-1-801. Department of health to develop comprehensive emergency medical services and trauma system. The department of health shall develop a comprehensive emergency medical services and trauma system. W.S. 35-1-802. Designation of trauma areas; trauma system hospitals. (a) The department of health shall designate within the state trauma areas consistent with local resources, geography and current patient referral patterns. (iii) Hospitals categorized according to existing standards of the department. (c) On and after July 1, 1993, the department may designate trauma system hospitals in areas that meet state objectives and standards. (d) On or after July 1, 1994, the department may implement area trauma system plans. Applications to be categorized or designated as trauma system hospitals shall be made upon forms provided by the department of health. The department shall promulgate reasonable rules and regulations which specify state trauma system objectives and standards, hospital categorization criteria and criteria and procedures to be utilized in designating trauma system hospitals and for the prevention of trauma and injuries. The rules shall be in conformance with the most current standards of the American college of surgeons committee on trauma standards, but may be expanded into further categories. The department of health shall identify the causes of trauma in Wyoming and propose programs of prevention thereof for consideration by the legislature, health care providers and other agencies concerned with accident prevention or aftercare.